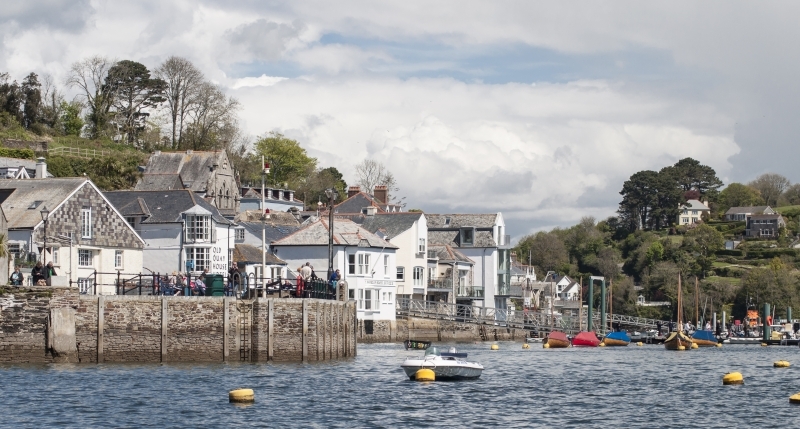 Fowey is pronounced Foy; it rhymes with ahoy and buoy. This area is part of the country’s early naval history. St Catherine’s Point is a rocky headland at the entrance to the River Fowey estuary. It’s also a popular heritage site on the South West Coastal Path. Due to its strategic position, the site has been important since pre-history and it has a wealth of heritage interest. There are remains here of an Iron Age fort, a medieval motte and bailey castle, a Tudor fort, the C19th Rashleigh mausoleum, and a WWII gunnery. In medieval times there was a chapel to the north of St Catherine’s Castle. In the C19th the Rashleigh family built an arched mausoleum from granite on the site of the chapel. The site is above Readymoney Cove. Expecting an invasion from Spain or France, Henry VIII built a two-storey D shaped blockhouse, improving the harbour defences. There were observation posts and gun posts, and a parapet walk with battlements, adding to the protection. The blockhouse sits above slopes which fall away to a curtain wall. The defences increased during the Crimean War. St Catherine’s Castle is owned by English Heritage and entry is free. The parish church, St Fimbarrus, dates from the C11th. The Norman font still remains. The present church dates from the mid 13oos. In 1457 French invaders damaged the church and town which Earl of Warwick helped to rebuild from 1460. A tower clock was added in the 1600s. The church has lean-to north and south aisles. In the 1500s, local people raised funds to enlarge the south aisle to make a lady chapel and a processional aisle. The pulpit dates from the early 1600s. More information on the history of this and other ancient churches is available from the Cornwall Historic Churches Trust. The church is usually open for visitors. 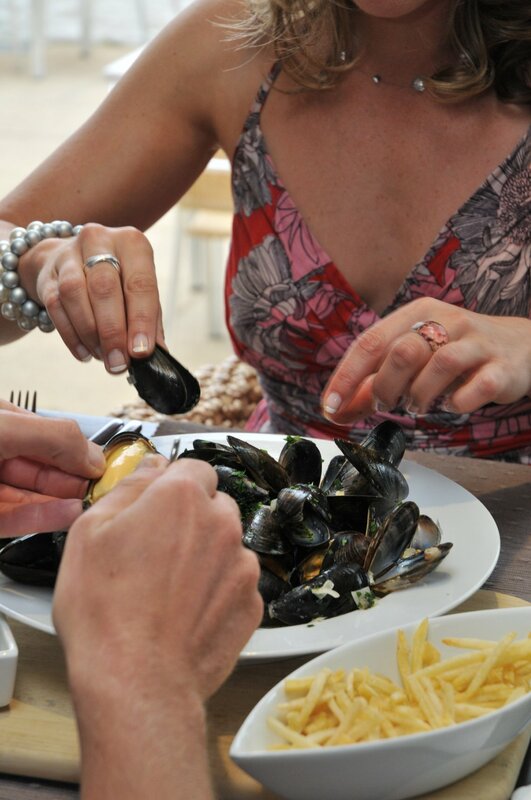 There’s an abundance of seafood and other local delicacies on offer in the town. And a wide range of accommodation. An unusual monument is The Tristan Stone, which has an inscription to Tristan. The stone dates from the C6th and commemorates Tristan, the son of Mark the King of Cornwall. 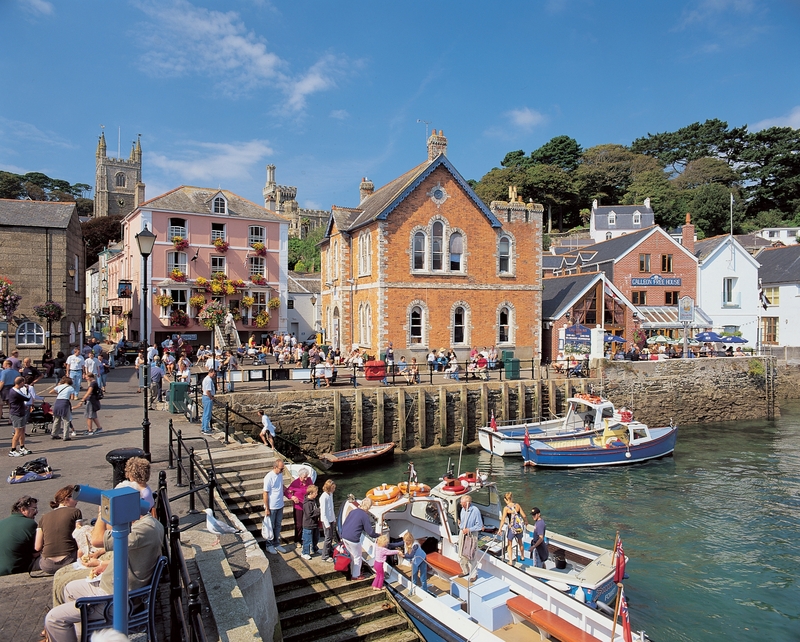 Fowey has a lifeboat station on Passage Street with a lifeboat shop which opens in the summer months. For a very clear street map of the town click here. There’s also an excellent guide for visitors with children and here there are excellent walking guides. For children of all generations, the aquarium is a fascinating attraction. You will find it the quay. It’s collection of sea life is local, and there’s a ‘touch pool’ for those who want to get close up. The Fowey WI meets monthly at the Community College. The rugged coast has inspired many writers and artists. Kenneth Graham found inspiration for Wind in the Willows in 1907 while enjoying a boat trip from Fowey. He was staying at the Greenbank Hotel in Falmouth. Daphne du Maurier’s parents were both actors. She came from London but the family had a holiday home in Cornwall. Daphne married in 1932 and lived and wrote in a manor house outside Fowey, which looked over The Gribbon. Previous PostFine Food produced in Kent – the Garden of England. A Great British product!